Measuring hail, wind speed and rain are critical when determining the property damage that can occur. But how do you measure them? 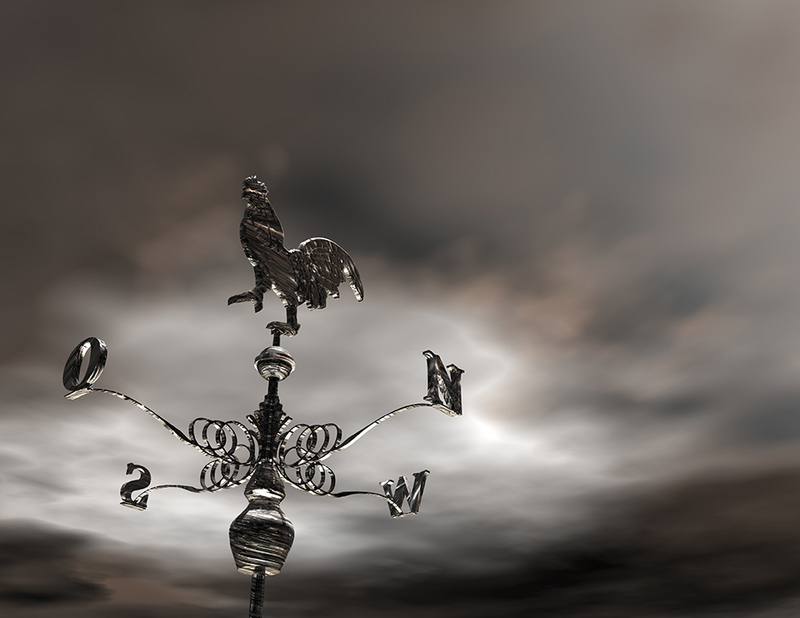 Weather forecasting continues to improve, but any of these are approaching your home, there is little anyone can do to stop them. The best strategy is to be prepared, with regular maintenance on your home, and making sure your insurance policy coverage is up to date. Understory is helping to answer the question “how do you measure hail, wind speed and rain” by providing precision ground level real-time measurement of weather conditions using dense arrays of networked rooftop sensors mounted on rooftops around the country. If you look carefully, you may even spot one of these Understory ‘Real Time Instrument’ or ‘RTi’ weather stations in your neighborhood. They can be recognized by the distinctive stainless steel sphere, about the size of a soccer ball. Understory’s RTi weather stations are autonomous, precisely calibrated sensors designed to continuously monitor wind, rain, temperature, pressure, humidity, and even hail around the clock. This data is collected wirelessly and aggregated to form a high-resolution picture of weather conditions on the ground, in your city and even your own neighborhood. What makes these instruments unique is their use of new networked technologies that can measure all of these conditions electronically– without any moving parts. How do you measure wind speed? A breeze is welcome on a hot sticky day, but high winds damage branches and landscaping, tear off shingles or even bring down entire trees. Radar does a reasonable job of telling you where storm systems are located and predicting their direction, but it is difficult to know what the local wind conditions are near the ground—where it really counts. The most common wind speed measurement device you may have seen is a cup. These devices usually have a spinning shaft with cups attached, or they may look more like the blades of a fan. As the wind passes over each cup or blade a small amount of lift is generated, pushing it forward and causing the shaft to spin. Stronger wind means more lift, and the shaft spins faster. Inside the housing is an electronic sensor that measures how fast the shaft is spinning, which then lets you estimate the wind speed. Often you will also see that looks like the tail of an airplane. This is called the vane, which swings around trying to align itself with the wind, and acts as a wind direction indicator. Understory’s RTi units use a different technology that uses electronics to sense the drag force and lift on the metal sphere as the wind blows past it. This is a big advantage because there are no moving parts to wear out, or become damaged in severe conditions. How do you measure the rain? Rain is critically important for your garden, but too much can lead to flooding. Improper drainage or other problems with your house can lead to water infiltration and damage, even for small amounts of precipitation. Since ancient times, the best way to measure rain has been to collect it in a container, go out after the rain has stopped and measure the depth of water. This simple rain-gauge method is still a great way to know exactly how much rain has fallen in your yard, but there are some limitations. You have to remember to dump out the water and reset your sensor to get it ready for the next rain. Although it is easy for a person to read the marks on the side of the rain-gauge by eye, it is difficult to sense this electronically. Understory’s RTi units are able to sense rain falling on the metal sphere, and precisely determine not only how much total rain the storm brings, but also the rain-rate minute by minute. This happens without any moving parts, buckets to empty, or holes that can become clogged. The RTi can autonomously make rain measurements around the clock. How do you measure hail? Hailstorms are relatively rare, and many years may pass before hail ever strikes your neighborhood. If hail does strike, it can cause significant damage to plants, trees, cars, and roofs. Hail in the U.S. was responsible for millions of dollars in agricultural losses and in residential/property losses in 2016. 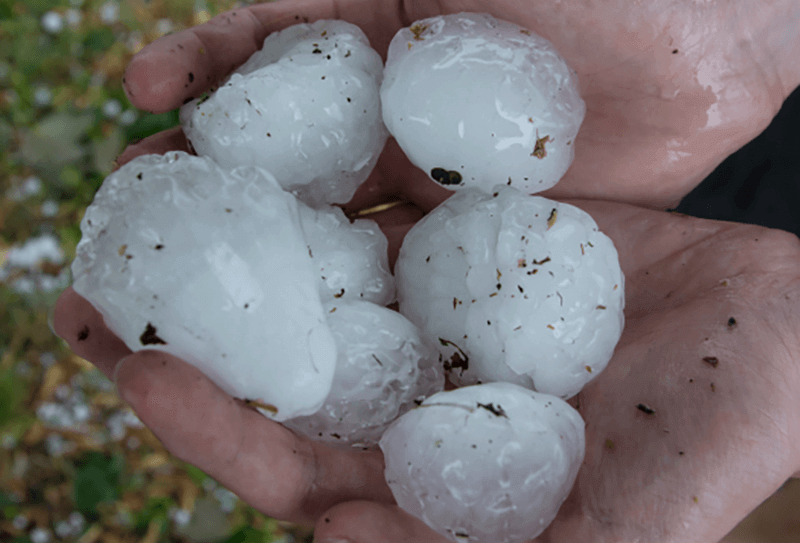 Until the development of Understory’s RTi weather stations, there have been very few methods to quantitatively measure the rate and size of hailstones that fall on your property. You can run out and collect hailstones off the ground, and put them in the freezer, but this is not a very accurate way to sample hail. Hailstones can very widely in their properties—and may break up when they hit hard objects. Understory’s RTi weather stations are able to detect the impact of each hailstone that strikes its metal sphere. It instantly knows the size of each stone, and the direction that it came from. When the data from each RTi weather station in your neighborhood is aggregated, it provides an unprecedented, accurate picture of the hailstorm.